Patrick Harvey is a shareholder practicing in the areas of labor and employment law, municipal law/school law, public sector pension and benefits law, disability and discrimination law, administrative law and appellate law. Villanova University, B.A. Communications 1982. Villanova University School of Law, J.D. 1985. Admitted to practice in Pennsylvania in 1985. Admitted to practice before the United States District Court for the Eastern District of Pennsylvania and the U.S. Supreme Court. Pennsylvania and Philadelphia County Bar Associations. Philadelphia County Labor and Employment Law Section. Philadelphia Labor and Employment Relations Association. Pat Harvey has been providing daily labor and employment advice and representing employers in Federal and State trials, union negotiations, grievance and interest arbitrations, unfair labor practices, civil service proceedings, and local agency hearings for over twenty-five years. 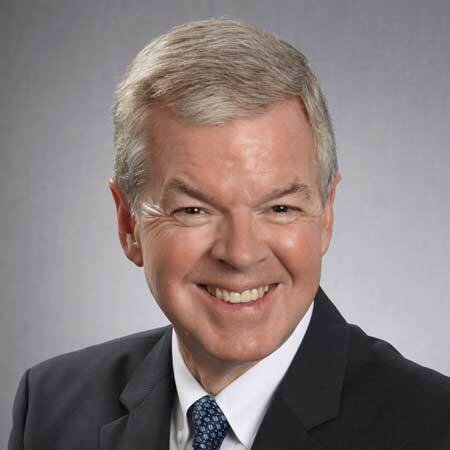 Pat began his career as a prosecutor in the Philadelphia District Attorney’s Office and brings a depth of experience in handling workplace misconduct investigations and defending municipalities in discipline grievances. Pat specializes in handling sensitive investigations of elected officials and police misconduct and is frequently called on to defend municipalities in challenges to police discipline. Pat also brings a wealth of experience when acting as the municipal arbitrator in Police and Fire Act 111 and Act195 proceedings. He has been chosen as the employer arbitrator in interest arbitration and as chief negotiator in Act 195 contract negotiations countless times. Pat also supervised a workers’ compensation defense department for over ten years and uses his disability experience in globally settling workers’ compensation injuries, drafting maximum leave policies and handling ADA, FMLA and heart and lung claims. Pat serves as counsel to the Pennsylvania Municipal League (“PML”) and the PennPRIME Workers’ Compensation and Liability Trusts. He plans and speaks at the annual Pennsylvania Employer Labor Relations Advisory Service (“PELRAS”) conference. He also frequently speaks at the Pennsylvania Association of Township Commissioners Conference (“PSATS”), Newly Elected Officials Training, American Arbitration Association Arbitrator Training, the Boroughs Association, the Pennsylvania Association of Township Commissioners (“PSATC”), the Society for Human Resources Management (“SHRM”), the County Commissioners Association and various municipal Councils of Governments (“COGS”). Pat has authored multiple labor and employment articles in various publications including the Pennsylvania Municipal Reporter, the Township News, the Borough News and the University of Pennsylvania Journal of Labor and Employment Law. Pat has drafted Act 111 and Heart and Lung reform legislation and has frequently testified before the Pennsylvania legislature regarding those issues. Pat is a graduate of Villanova University and Villanova University Law School. In his spare time Pat enjoys running, backpacking, wildlife photography and sports photography of his son and daughter’s sporting events.